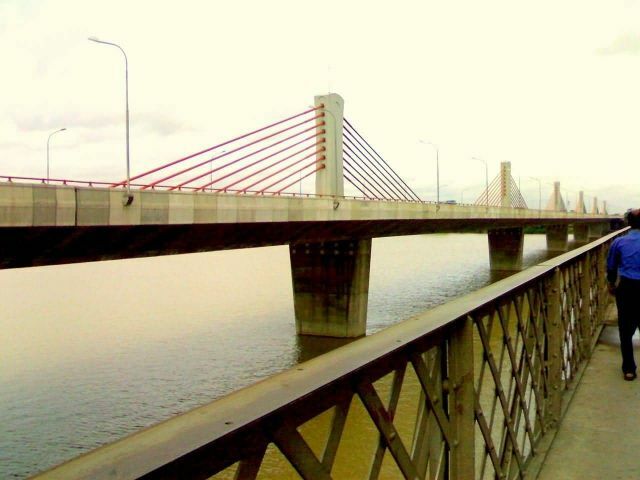 Nivedita Setu also called Second Vivekananda Setu is a cable-stayed bridge over Hooghly River in Kolkata, West Bengal. It runs parallel to and around 50 m downstream of the old Vivekananda Setu opened in 1932. The bridge is named after Sister Nivedita, of Swami Vivekananda. The construction of the bridge started in April 2004, by the construction giant Larsen and Toubro and was opened to traffic in a record time in July 2007. The bridge is the India’s first multi-span, single-plane cable supported extra-dosed bridge with short pylons and seven continuous spans of 110 m, totaling a length of 880 m. It is 29 m wide and will be able to support 6 lanes of traffic.